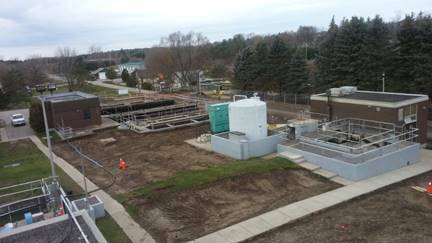 The Ingersoll Wastewater Treatment Plant has been named the Project of the Year from the Ontario Public Works Association. 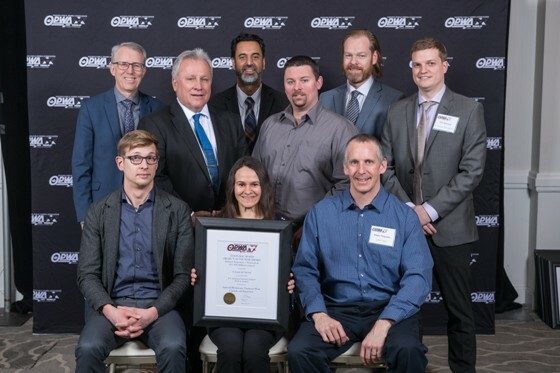 Project Engineer and Construction Coordinator for Oxford County Mark Maxwell says they are honoured to receive this award. Maxwell says this was a huge project for them to undertake. "It came in at about $20 million dollars to upgrade this plant and what we are mainly doing was getting a higher raising capacity. 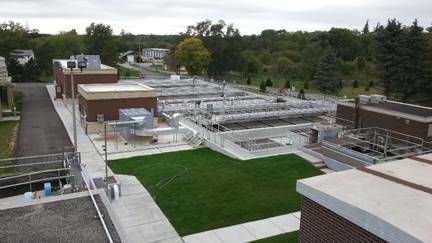 The Ingersoll Waste Water Treatment plant was made up of an original plant that was built in 1947 and then subsequently another plant was built in 1974 to increase the capacity and that original 1947 plant was reaching the end of it's useful life. We had to beef up the 1974 plant to run all the flow through it while at the same time we decommissioned the 1947 plant and built a new larger, more modern plant in it's place."